...and Enjoy a Pleasant Evening With Two Locals! Coming to St Petersburg soon? If so, meet with us in the city and let's have a good time together. We have many stories to tell you, and we are also interested to hear yours! You don't know yet but soon you're going to land in the most beautiful city of Russia, a city with 300 years of interesting and soaring history, amazing architecture, graceful rivers and canals , delicious Russian food, and a rich culture. But, what about meeting with some locals? Hearing their life stories or telling them yours? And what if these locals could be the founders of St Petersburg Essential Guide? Yes! The minds behind this travel website you are visiting right now. We can hear you in the background saying what the hell are you talking about! 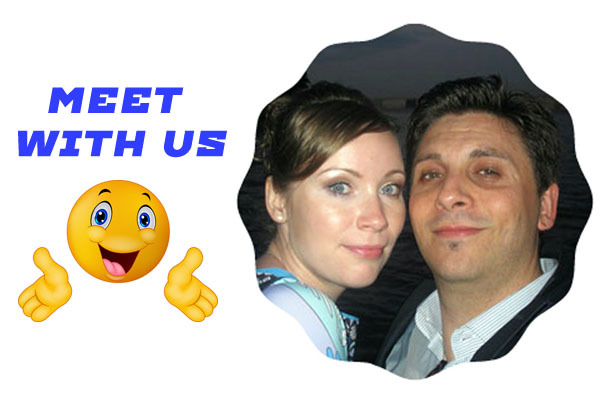 Well, what we're trying to say is simply that as you are coming to visit St Petersburg and in somehow you've found this website, perhaps you might also like the idea of meeting with us (Davide & Anastasia), two locals living and working in St Petersburg, Russia. This is not the first time we met our visitors! Nothing special! We just hung out for dinner in one of our favorite St Petersburg restaurants or cafeterias in the city center and spent a few hours together chatting about Russia, their visit to the city, life in general, and other stuff like you would do if you were with your friends. Overall, it was a really nice experience and we all had fun. So we don't mind doing it again! Of course we won't be able to meet with everyone, but if your travel dates fit our agenda, and we are not away, then we'll be more than happy to catch up with you for dinner or just a drink. 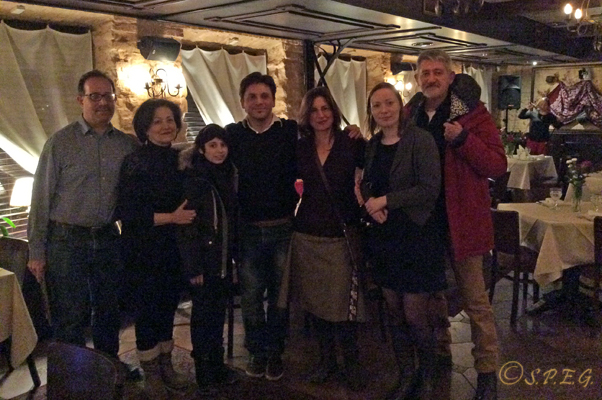 After all, meeting with travelers from different parts of the world is fun and fascinating, at least for us. So want to meet with us? Below you can find a Photo Gallery with all the people we met from 2014 up to now. For a better view click on the photo to open the photo gallery. 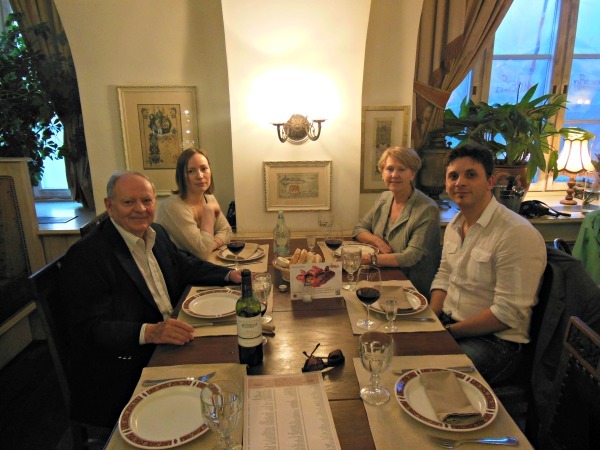 Photo with Prof. Claude B and his wife Monique from Canada - eating at the Russian Vodka Room restaurant. 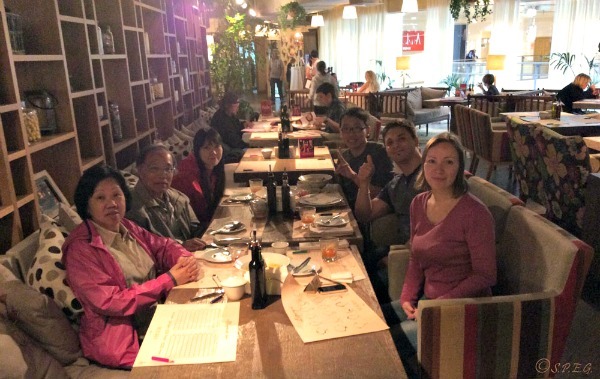 Photo with Alvin and his family from China at a local restaurant in the heart of the city of St. Petersburg. 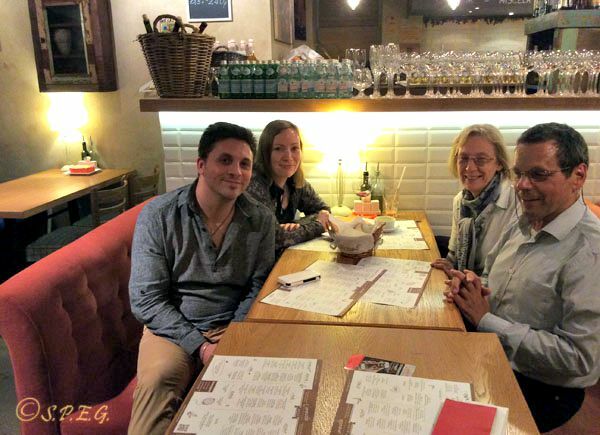 Photo with Warwick and his mother from Australia at a Russian cafe in St Petersburg, Russia. 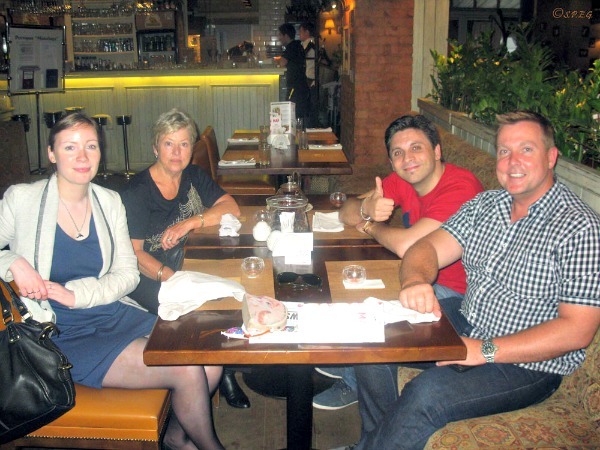 Photo with Robyn and Roy from New Zealand at the Artist's Attic Restaurant Fondue Bar in St Petersburg, Russia. 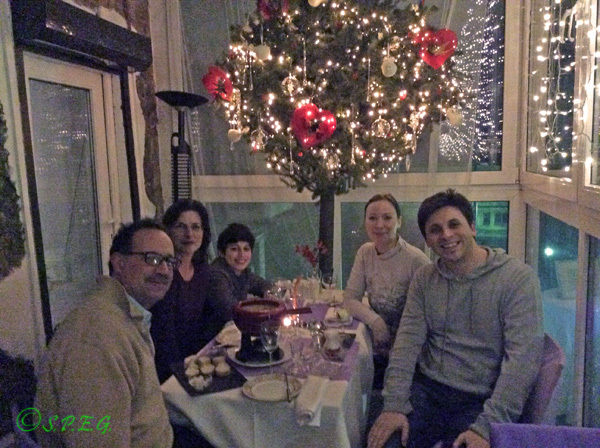 Photo with Thomas and his wife Elke from Switzerland at the Masha and Bear restaurant in St Petersburg, Russia. 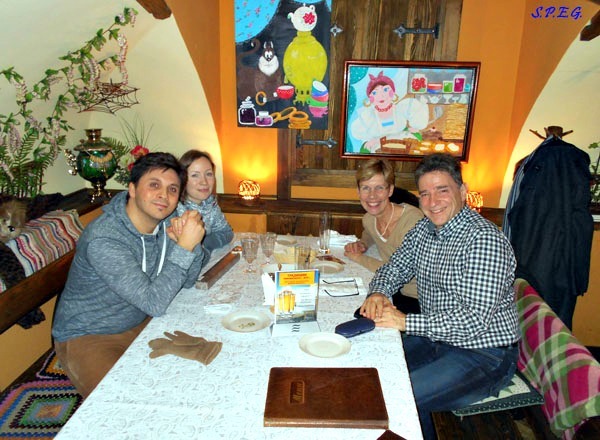 Photo with Ali, his wife Hilary, and his son Safi from San Francisco at the Artist's Attic & Fondue Bar in St Petersburg, Russia. 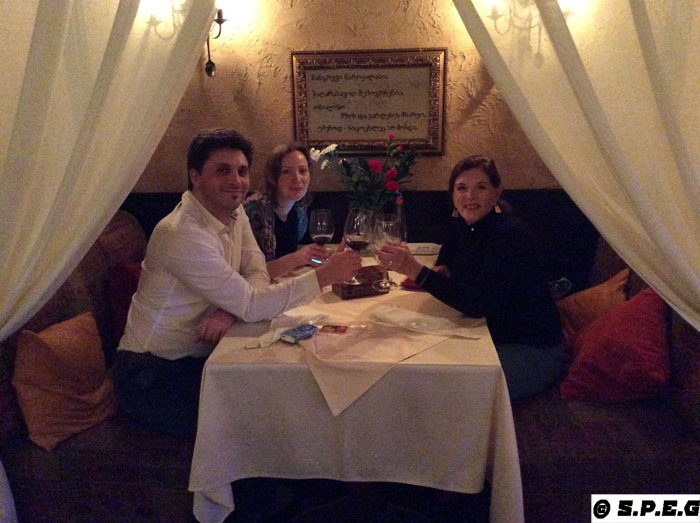 Photo with Paul and Erika from Liechtenstein at the Italian restaurant Limoncello in St Petersburg, Russia. 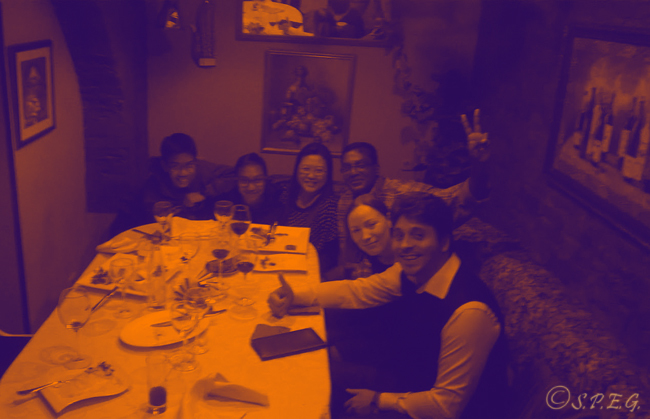 Photo with Joseph and his lovely family from Singapore at the Georgian restaurant KAT in St Petersburg, Russia. 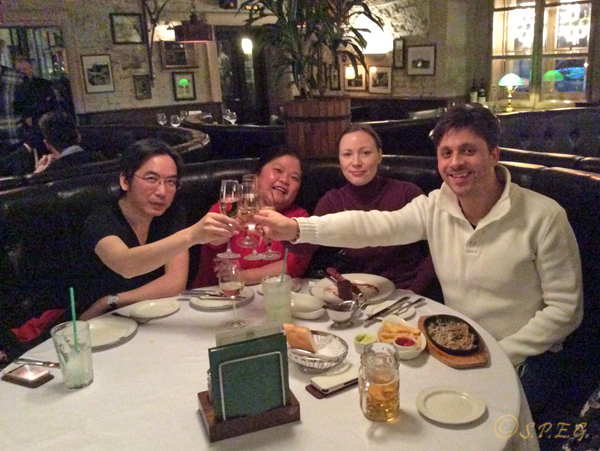 Photo with Lawence and Cinnie from Hong Kong at the Stroganoff Steak House Restaurant in St Petersburg, Russia. Another photo with Ali and his family and friends from San Francisco during their second visit to the city. 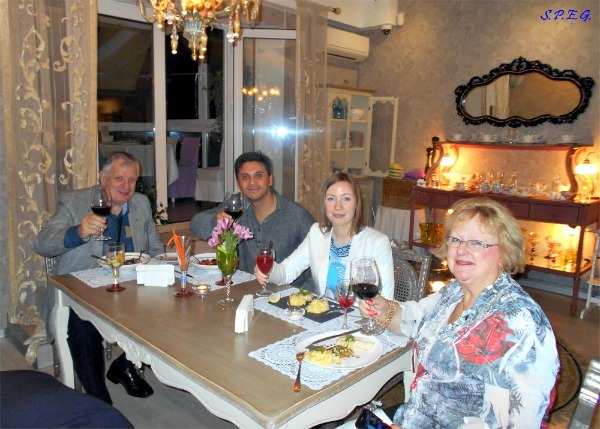 Photo with Richard and his family and friends from USA at the Adzhabsandal Restaurant in St Petersburg, Russia. 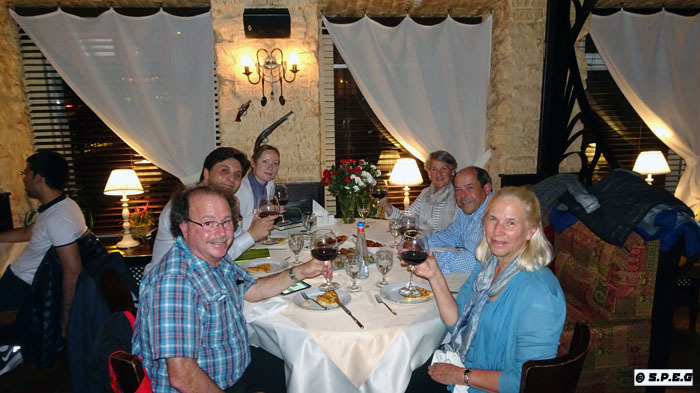 Photo with Annie from USA at the Adzhabsandal Restaurant in St Petersburg, Russia. 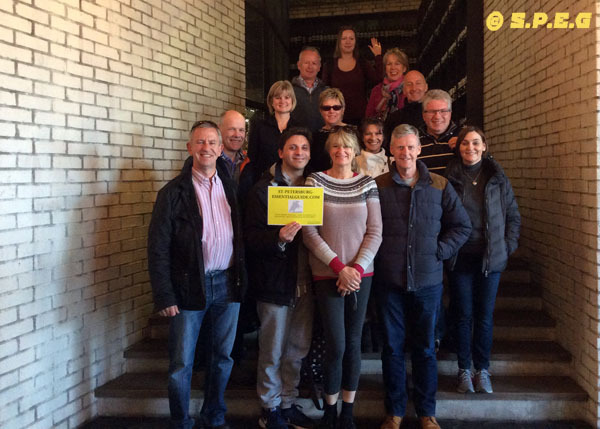 Photo with Roy and his large group of friends from UK at a local restaurant in St Petersburg, Russia. 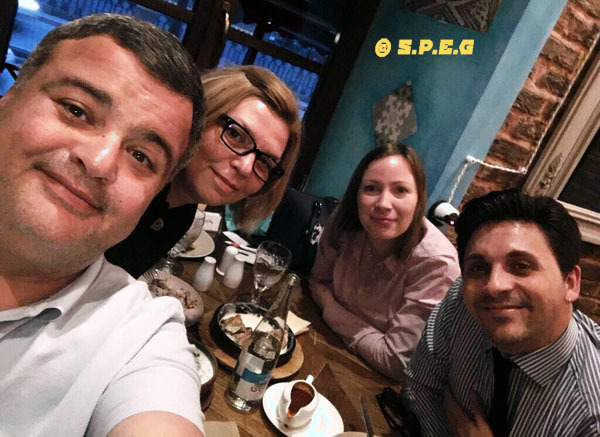 Selfie time together with Iva and her partner from Bulgaria at a local restaurant in St. Petersburg, Russia.